It’s been two years since scientist have been trying finding more about the existence of stanene, which is said to be graphene’s closest relative in nature. Stanene is basically fascinating to all the scientists at work because it’s only one atom thick and is primarily made up of a thick mesh of tin. 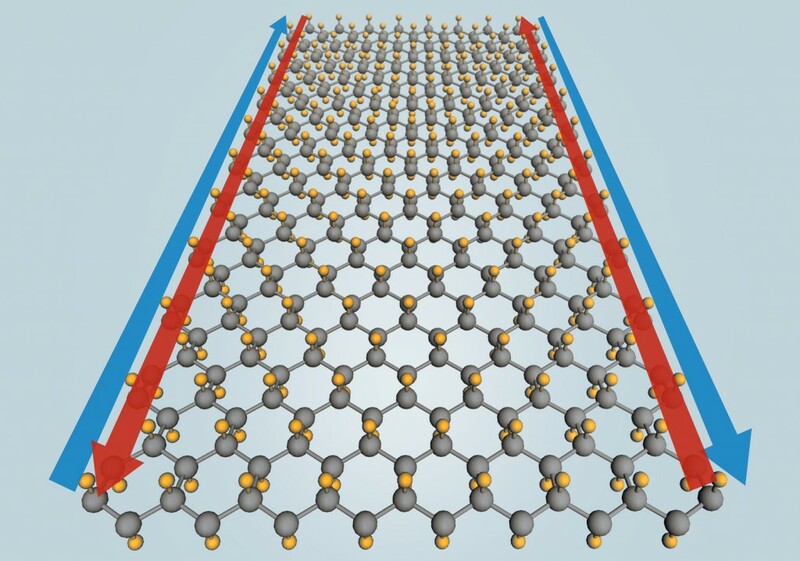 Since graphene is also one atom thick, but made up of carbon layers, the two materials work in a similar way. According to the theories predicted by the work of the scientists, this stanene material can conduct electricity without any heat loss whatsoever. Stanene is also expected to be the most efficient material in nature when it comes to conducting electricity alone. The wonder material will work at normal room temperature as claimed by the scientists. Since it is two-dimensional in shape, stanene allows electrons to zoom along the borders of the tin mesh in a single lane. This way it overcomes the energy losses due to collisions in three-dimensional materials and will therefore gain 100 percent efficiency. Collisions cause vibrations and vibrations generate heat that causes energy losses. Since it is already established how stanene works without causing any interruption in the normal travelling of the electrons it is obvious that wires made up of stanene would be able to carry electricity at shorter as well as extremely long distances without any energy loss, that too for long spells. This will surely make our lives easier than ever before as appliances and daily used gadgets won’t heat up when used for long hours. Stanene will be the best example of a topological insulator if it perfectly works at room temperature, and gives 100 percent efficiency, as theorized by the scientists. Along with this it will also replace graphene as the most suitable material for the building of electrons in the near future. But since it is not yet confirmed whether stanene will actually work the way they have predicted or not, everything still lies in a big ‘if’. As initial testing has not confirmed any of these properties but that may be due to the way the team has constructed it. This will be confirmed in time to come whether the substance produced is actually stanene of not as some scientists beg to differ, still it’s a start and let’s hope this will take us to 100 percent efficient materials soon.